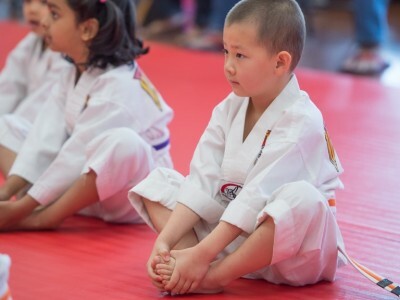 Attire – TMA Uniform must be clean and neatly worn during practice or belt rank ceremony, faded TMA logos and discolored uniform is not allowed. Missing any component of the uniform (top, pants, or belt) is considered no uniform and students may not be allowed to participate in the class. Socks or shoes are not allowed on the practice area with exception of the Tiger shoes specifically made for martial arts mats. Jewelry or sharp objects should not be worn during class or at any practice sessions. Finger/toe nails must be trimmed short at all times. Student Advancement – Student’s skills are evaluated quarterly/semester (University Students). Students may receive a new belt upon successfully completing the rank test. Intermediate and Advanced students are required to attend a minimum of two classes per week for testing and eligibility for TMA programs. Tuition **NON REFUNDABLE** – All Tuition programs are prepaid prior to the start of class are payable on the Due Date of the month. If payment has not been received after the due date, you will be charged a late fee. Tuition is based on a 4-weeks/month program. The months of the year that have 5-weeks will compensate for any holidays when the academy is closed. Late Fee – A twenty-dollar ($20) late fee will be assessed to your monthly tuition if not received after the due date. Returned Checks – A returned check will result in a twenty-five dollar ($25) fee. This fee and your tuition fee must be paid in cash before allowed to participate in class. Family Discount – Families with more than one student enrolled in a Full Program* will receive a 10% off on the 2nd, 3rd, 4th, etc. Full TMA Programs – These are programs that meet at least twice a week. 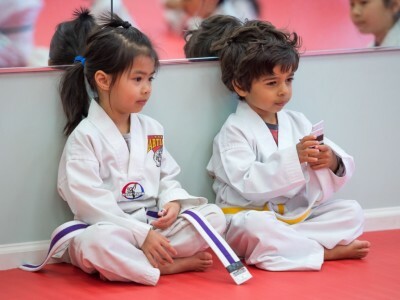 Proration of Fees – Tiger Martial Arts DOES NOT prorate fees for vacations, absences or make-ups. Exception may be allowed in case of injury or prolonged illness with proper physician’s notification to the Academy. Vacation –Students are responsible for any missing course material or tuition dues while on vacation. Vacations that are more than one month may incur a $80 re-registration fee. Camps, Competitions, Exams and Private Classes – these additional events are available for registered TMA students and are scheduled during the year. Please refer to the registration forms for those events. Absentees – Please notify Master Hung when you will not be attending class. Absences more than 1 month may incur re-registration fees. Make-ups – Are offered as a courtesy and only in case of injury or prolonged illness or excused absences with notification to the Academy. Please inform Master Hung. 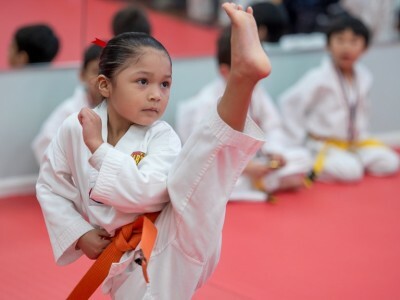 Dismissal – Tiger Martial Arts reserves the right to dismiss any students at any time for non-payment of Tuition or failure to adhere to the policies, conduct and requirements of the Academy and its programs. 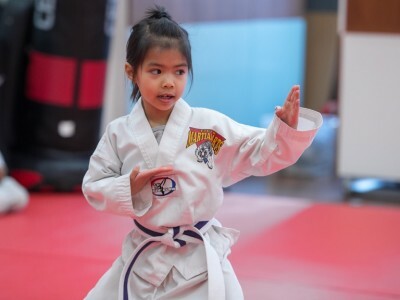 Student helpers – Students of Blue Belt rank or above may apply for students helper/assistant program at Tiger Martial Arts Academy and follow all etiquette and rules of conduct as a student helper. 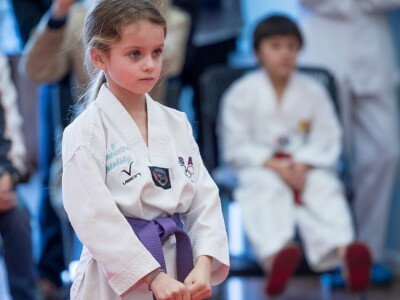 Black Belt Promotion – An overall minimum hours/credits of class training time is required for eligibility for Black Belt promotion exams including certifications, leadership and students helper/assistant at TMA as well as competition experiences. Please refer to your rank requirements and curriculum section. All ranks and certificates are issued at the discretion of the Head Master of the Academy. Student Pick Up – Parents are responsible to pick up their children on a timely manner. A $10 fee may be assessed for every minute for late pick up. ANY QUESTIONS REGARDING POLICIES, PLEASE CONTACT YOUR MASTER INSTRUCTOR. Thank you for your interest in Tiger Martial Arts! Please give your name and e-mail and our staff will contact you to answer any questions you have about our school. We look forward to train with you!